If you have chosen to host an outdoor wedding, you have made a wonderful choice! After all, how could you not want to vow your love to your partner among beautiful nature? However, there are some things that you will want to keep in mind if you are hosting your own outdoor big day! If you are having an outdoor wedding, you will certainly want to keep the weather in mind! After all, it could have the potential to put a damper on your big day. So, ensure that you prepare yourself with a backup plan! By choosing a venue that presents both indoor and outdoor sites, or by utilizing tents or canopies, you can guarantee that you will be prepared for the rain. Flowers will be the prominent feature of your wedding décor. Therefore, you will want them to maintain a beautiful appearance! It is important that you choose blooms that can withstand either the heat or cold, depending on the seasons in which you will be hosting your outdoor wedding. After all, you won’t want wilted blooms! So, be sure to speak with your florist, so that they can assist you with choosing the best flowers for your outdoor big day. You will want to ensure that your guests are comfortable within the outdoor elements! So, if you are having an outdoor wedding in spring or summer, consider presenting guests with water bottles to keep them hydrated, and parasols to shield them from the sun. Or, for fall or winter weddings, consider showcasing throw blankets or shawls, along with outdoor industrial heaters, to assist guests with keeping warm. 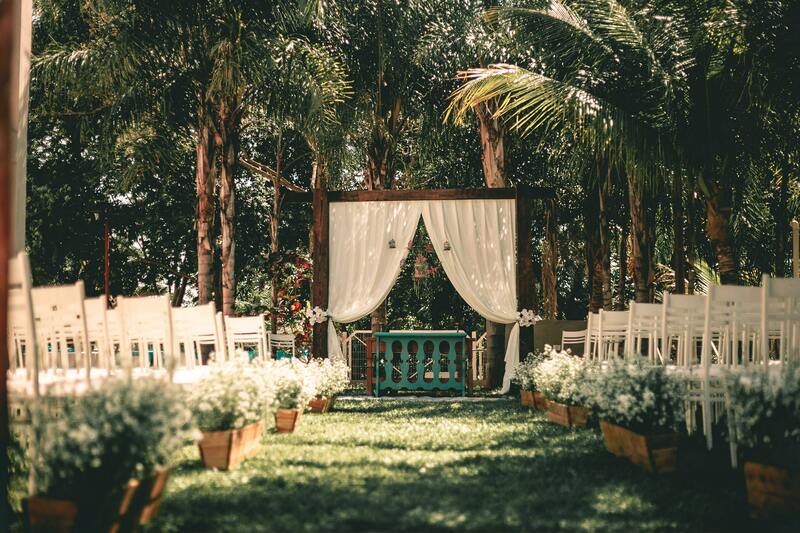 Your outdoor wedding should certainly be planned to perfection! These are just a few tips to assist you with creating yours. If you are ready for your own nuptials to run smoothly by hiring a wedding coordinator in Houston, Texas, please contact us here at JM Productions. We believe that every wedding should flow with ease, and would be honored with the opportunity to ensure that yours does.